Governance and management of enterprise IT comprise of different types of activities, with different responsibilities. Nevertheless a set of interactions is required between the two to result in an efficient and effective governance system. 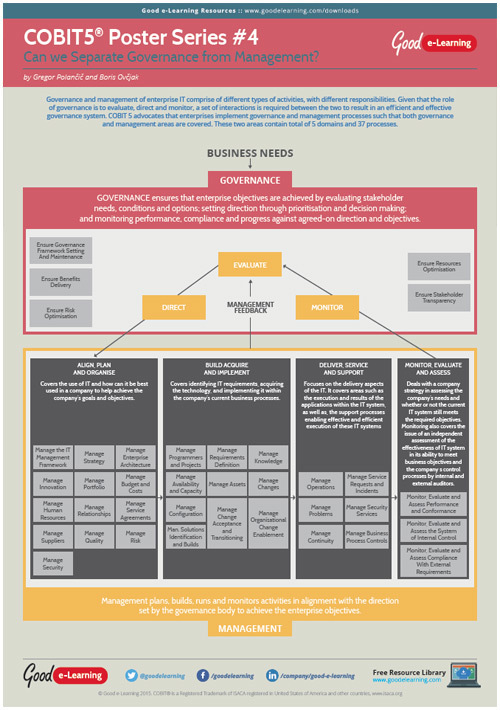 COBIT 5 advocates that enterprises implement governance and management processes such that both governance and management areas are covered. This poster therefore aims to present these key areas.